2015 for me was the year of the flag. Being a Kiwi and obsessed with all things vexhilogical, it was natural that I was heavily involved in the New Zealand flag referendum. It rather took over my life and of course ended in failure for both myself and the nation as we failed to find a viable and likable alternative to our Union Jack dominated ensign. This obsession led me to also design a flag for my new hometown of Stroud. 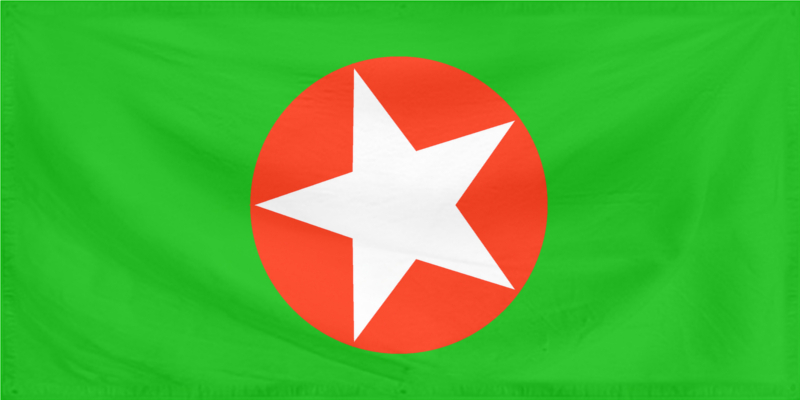 I had no intention of anybody seeing it, but when my idea of The People's Republic came up, it seemed the perfect image to accompany the Revolution. Five Valley Star: The 'wonky' star reflects the 5 valleys that lead to Stroud, the absence of flat gradients and the alternative nature of its residents. White the colour of example. A shining beacon of hope.